If I could, I would like to be a Mer-Dog (Mermaid-Dog). My name is Flapper but I have no flipper. I love swimming and I love the sea. Look at these stuff, isn't it neat? Wouldn't you I'm a girl... dog... a girl dog who has everything? Okay, okay, I am no red-head Ariel. As a matter of fact, I'm yellow but mummy prefers to call me blonde. I cannot sing like Ariel either. I can only bark. So I was looking through at my birthday photos for the thousandth time. I was in my zone. Beach... sand... swim... play... I was one truly happy mer-dog. It was not always that I was a mer-dog. When I was adopted by mummy in May 2007 at eight months old, I did not know what swimming was much less understood the joy of being a mer-dog. I had gangly legs that were oddly proportioned to my body, bow-legged and feeble, I walked (still do) with a girly sashay and was somewhat wobbly and clumsy. At that point, mummy suspected I had crappy hips (aka hips dysplasia) and raised her concerns every time we visited the vet. Physical examination did not indicate I had severe dysplasia and during that time, digital imaging was not as readily available as today so unless really necessary, vets would not call for X-Ray especially when I... did not show clear clinical signs. To pacify mummy (or so she thinks), she was told, "He MAY have dysplasia but most probably just a mild one." Mummy had a strong suspicion that my hips were worse than what it appeared so she decided to manage my physical condition in the mean time and well, be a dog. A happy dog. Weight - Till today, mummy monitors my weight and physical condition very tightly. I may look like #fatper (thanks to Uncle Nic) but what I pack is a 'manly' chest from all that swimming. Mummy said (as my chest got bigger), "Good! When your hinds go, at least I know your front can support you." Limited form of activities - No excessive jumping or pro-longed running on hard grounds; Limited crazy agility stuff... basically she'll let me do a bit of everything but there will always be a time frame and limit. For filming, my physical limitation will always be make known thus you will never see me do those "flying" moves. Careful of those oh-so-slippery floors. One of the biggest cause to hips dysplasia. Swim, swim, swim and SWIM - One of the best form of exercise for dogs - cheap, gentle and effective way of strengthening the hinds. Start from young... like lucky Frodo with those oh-so-enviable-hinds. Don't start digging for "hydo-therapy" only when the problem starts. Prevention is better. There is no cure. Either you live with leg problems or go for surgery. Do as dog do, be a normal dog... and live a happy active life. So yes, swim swim swim and swim. I was adopted in May. I was introduced to my first swim in June. Me: "No mummy! That big wide sea looks scary! I don't wanna go!" Mummy: "Don't worry Flapper, you'll get the hang of it in no time and you'll love it!" 23-Jun-2007: "No mummy! I don't wanna go in! The big wide sea and wave looks scary!" That was the start of Mer-Dog-ism! The truth of my hip condition came to light on 10-Jan-2009 when I was two years old. Thank God for digital imaging, mummy finally stopped sounding like a crazy paranoid self-imagining owner who kept harping over my deceiving hips. The X-ray was the awful truth. I loved Dr E's reaction when he saw my x-ray. "Oh my God, his hips are deformed!" Dr A, who recently saw the x-ray after mummy found it, said, "So horrigible!" If you can't understand the x-ray, these two exclamations should sum it all up. Mummy shouldn't laugh but she did. The condition is what it is. It was something I came with when mummy adopted me and so be it. Hip reconstruction surgery was not something mummy would opt for especially since I am coping with my deformity well. I have seen dogs who went for such surgeries and they still moved worse than me. So it's back down to management and knowing the actual state of my hips allowed mummy to manage me better. I turned nine on September 25th 2015. I just completed my exciting and meaningful run for the Sony Action Cam "Prove Yourself" campaign. You see, it is not about letting my birth deformity limit me or defeat me or using that as an excuse not to let me lead a normal happy active life. It just so happened that my life became quite extraordinary - by chance. Mummy is grateful and thankful that at nine, I am still moving well and yes, I do get a bit of arthritic problem now and again but otherwise, I am still [very] mobile despite of my lousy hips. We hope to keep it that way for a long time to come! 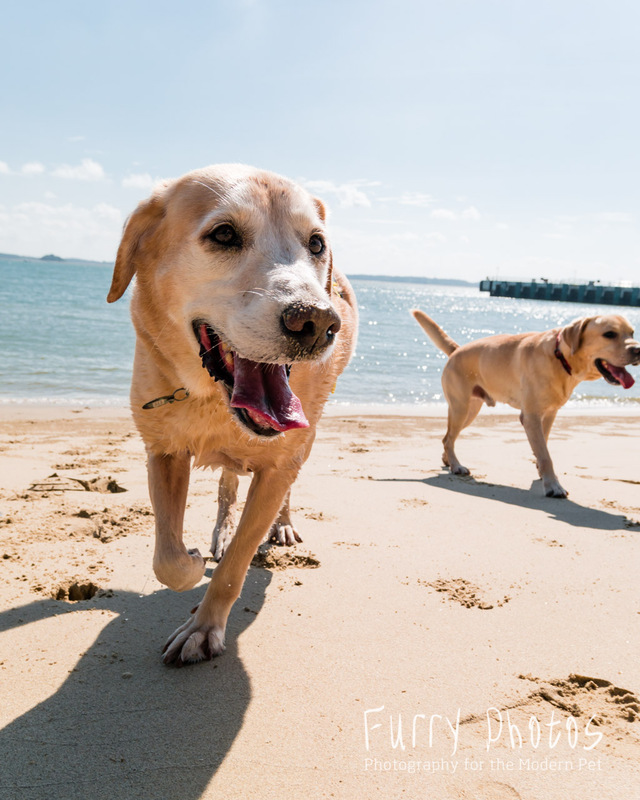 A short video by Uncle Nic of Frodo and my latest beach fun-time! Life's a beach.... let my mer-dog adventures continue.